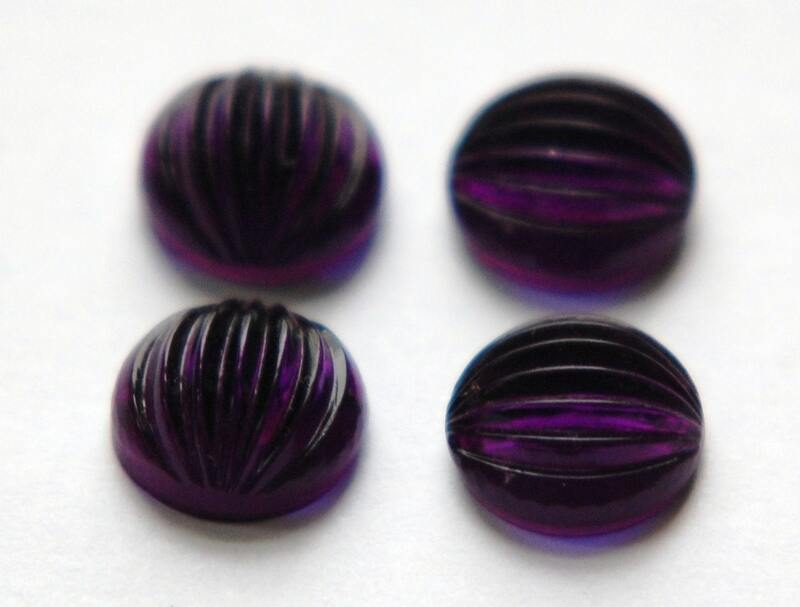 These are vintage purple glass cabochons. They have a concave back with a rim for gluing. The front is domed with a ribbed design. These measure 11mm. You will receive 4 pieces. These are such a beautiful deep purple color, and I love the ribbed texture; thanks very much! 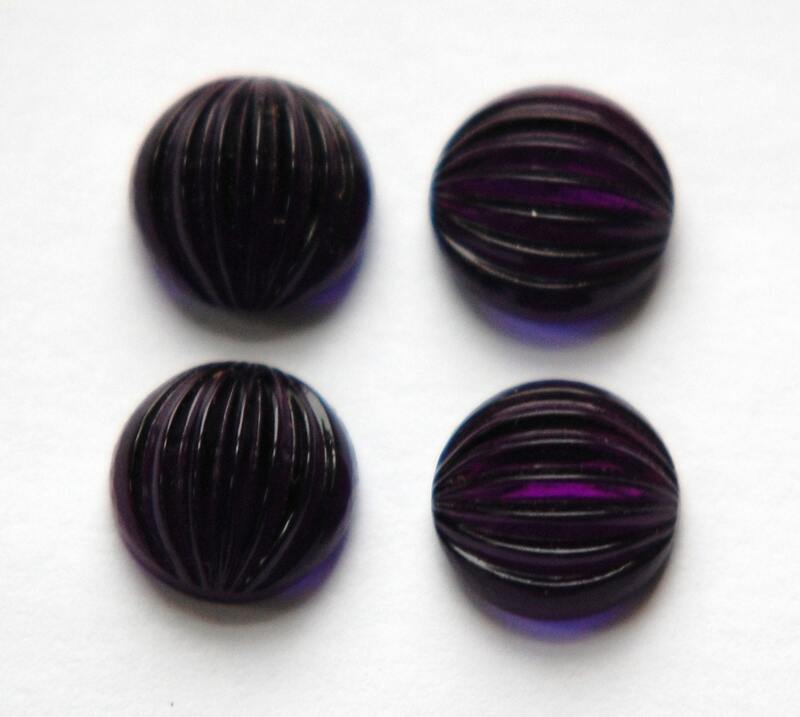 Beautiful, lovely cabochons. Excellent service.